So you have a Facebook page, a Twitter account and a Linked In profile, do you want to more? Well with Google+ becoming a great social media tool, they have introduced a business page to their already great site. Here’s mine. Visit http://www.google.com/+/business/ and select Create a Business Page. 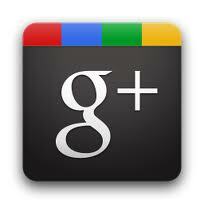 You will need to be logged into your Google+ account first so if you are not do this too. If you have selected Local Business or Place, then find your location in Google using your country and primary phone number. This links in with your Google Place, if you don’t already have one then this is a great time to add one too! Customising your profle are quite limited so use what you can. Add a profile picture, ideally your logo and a tagline, utilising your USP in only 10 words! Promote your page through all your other social media accounts and on your website! I hope this has helped. If you are still struggling or haven’t the time to do this then pop over to my site to see my packages. This entry was posted on Wednesday, November 16th, 2011 at 6:35 am and is filed under Business, Social Media. You can follow any responses to this entry through the RSS 2.0 feed. You can leave a response, or trackback from your own site. So are you under Local business or Place opposed to Company? yes for now, don’t class mine as a company yet!